With many participants either making or considering roster makeovers, this could be an event where the unexpected becomes the norm. Fnatic are the only squad thus far to have committed to a roster move, with the removal of legendary player flusha. Despite his struggles throughout much of the year, it was hard to imagine a world where Fnatic moved away from one of their historic players. Yet here we are, with flusha being removed and the Belgian headshot machine of ScreaM arriving as a stand-in. This move has multiple effects on the squad, not least being they will now have to communicate in English rather than Swedish. Yet on the plus side, given just how little flusha was able to do recently, it is difficult to see Fnatic heading anywhere but up for this event – they are 11.520 to win it with Dafabet. Expect them to play a looser style as they look to rely on the likes of KRIMZ to carry them through. One of the teams at the centre of transfer rumours are mousesports after they bombed out 0-3 of the Legends Stage of the FACEIT Major: London 2018. They did have an incredibly difficult draw but there were murmurs of change coming to this roster even before the Major. With oskar publicly discussing the presence of communication issues ever since the addition of Snax from VP, mouesports are in a tough situation. Fortunately, mouz are in an easier group comparatively in New York, with perhaps the most intriguing opening match-up when they square off against the aforementioned new-look Fnatic. 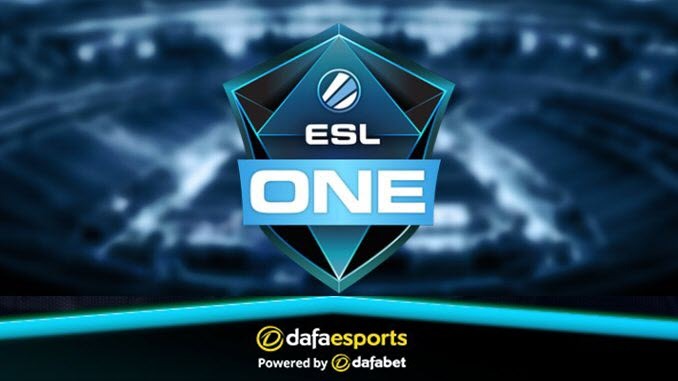 Dafabet certainly make it the most competitive of the opening fixtures – they have mousesports as the 1.555 favourites, with Fnatic offered at 2.470. Another one to watch is suNny, a player who has stated he has had multiple offers from other teams. suNny has been a top player in the world in recent weeks with hopes high that he can continue his hot streak, despite the unknown status of the roster. The team to watch at this event are FaZe Clan, after they swapped in-game leaders during the midst of the Major. After falling down 0-2 in the Legends Stage, FaZe swapped over to NiKo calling, although it is not yet known if that will continue. This, all of a sudden, put major questions into place about whether or not karrigan would stick around on this team or whether they would look elsewhere. Any such move could hinge on their performance at this event, with another slow start possibly forcing the hand of change. The odds suggest they will go well, however. They are 4.780 third favourites to win the event. Their player to watch is olofmeister, who, after returning to the team following an extended period away, has been on absolute fire, showing flashes of the brilliance that had him considered the best player in the world a couple of years ago. The largest unknown at this event is the state of NRG Esports. After trending upwards through the middle portion of the year, they have had some disappointing performances since the player break. After a 1st-place finish at IEM Shanghai before the time off, NRG went out in a tie for last place at DreamHack Masters Stockholm. However, that did come with a loss to two top teams in NIP and Natus Vincere due to the latter being upset by Ghost Gaming in the opening round. Then, due to in-game leader daps attending the Major as an analyst, they were forced to field a stand-in during the EPICENTER 2018 qualifiers, where they fell in the Finals to Swole Patrol. NRG have now had multiple weeks off to prepare for this event, with their full focus finally being on a singular event. Could they offer value at 14.460 in the outright market? They are also a team to track in terms of roster moves, as many of these players could be coveted should a North American shuffle occur. The expectation that Astralis were starting to come back to the pack was dis-spelled by the Danes’ victory at the London Major. There is therefore now a massive rethink among their rivals, with numerous roster moves expected. This should make the next few tournaments interesting, to say the least. Astralis are not here and in their absence Natus Vincere are slight favourites at 3.480, a price which puts them marginally ahead of Team Liquid (3.500) in the market. The action gets under way on Wednesday with the final on Sunday.